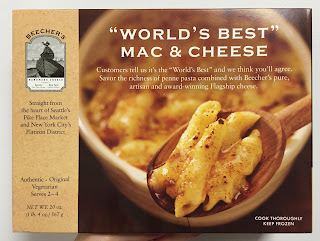 My husband bought a frozen box of "Beecher's 'World's Best' Mac & Cheese" at Beecher's, where they make cheese in the in-store cheese factory and we bought a cup of very squeaky, so good cheese curds before. Located in Seattle's Pike Place Market and New York City's Flatiron District, visitors to our glass-walled cheesemaking kitchens witness firsthand the centuries-old craftsmanship that goes into every batch of our award-winning cheese, including our signature Flagship. Flagship is sold only when it meets our rigorous standards --- when a simple vat of milk becomes the pride of the Beecher's Fleet. Whether it's our handcrafted cheese or our "World's Best" Mac & Cheese, we follow one simple, guiding principle: flavor and purity go hand in had. 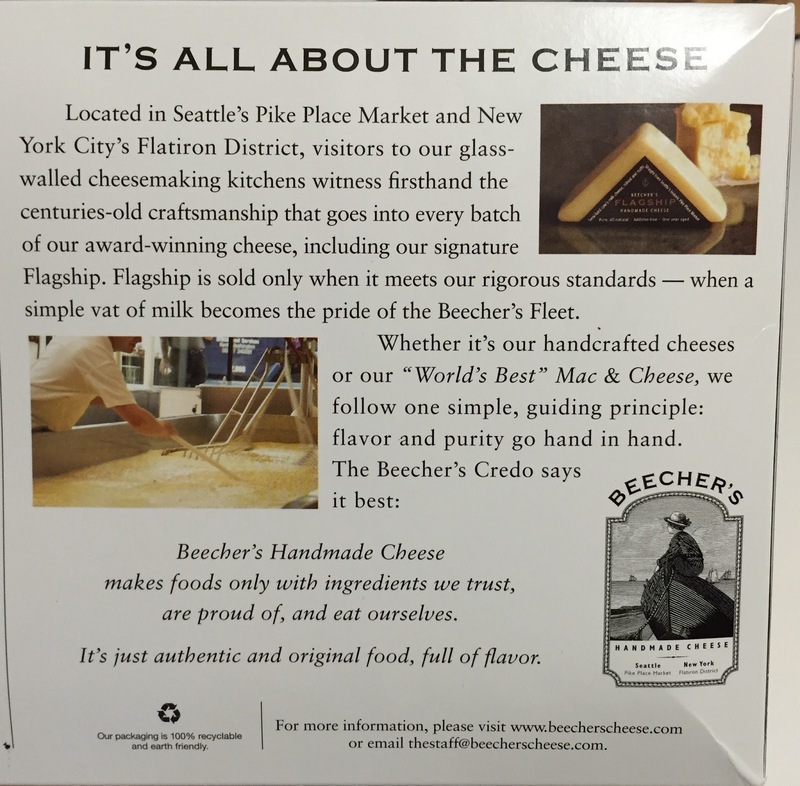 The Beecher's Credo says it best: Beecher's Handmade Cheese makes foods only with ingredients we trust, are proud of, and eat ourselves. It's just authentic and original food, full of flavor. We contribute 1% of all sales to the Beecher's Pure Food Kids Foundation empowering kids to make healthy food choices for lie. 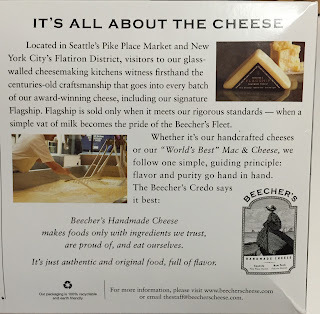 At Beecher's Handmade Cheese, we care deeply about the health, well-being and culinary delight of our customers. We have a passion for --- and a commitment to --- a philosophy of wholesome nutrition. Try any one of our award-winning products and experience that passion firsthand. 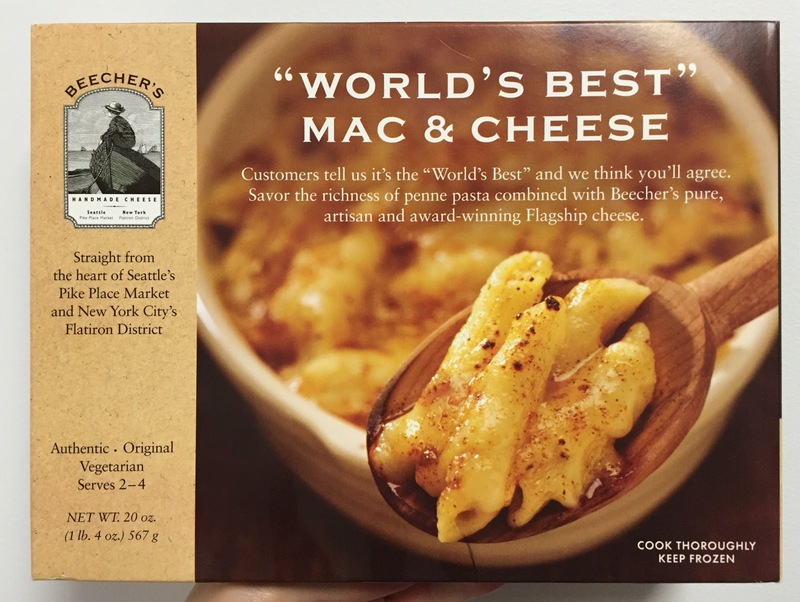 Savor the richness of penne pasta combined with Beecher's award-winning Flagship cheese. Either microwave or conventional oven could be used, and I used microwave. 2. Microwave for 6 minutes, stir, microwave for another 3-4 minutes. 3. Let it sit for 3-5 minutes. It's a 20 oz. 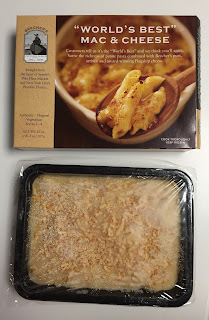 (567g) Mac & Cheese and so heavy. After 6 minutes, all the sauce was melted and looked and smelled really good. Stirred and microwaved 3 more minutes. After letting it sit for a couple of minutes, it looked like this. To be frank, it looked worse than before; bubbled and dried edges and not much creaminess was seen. 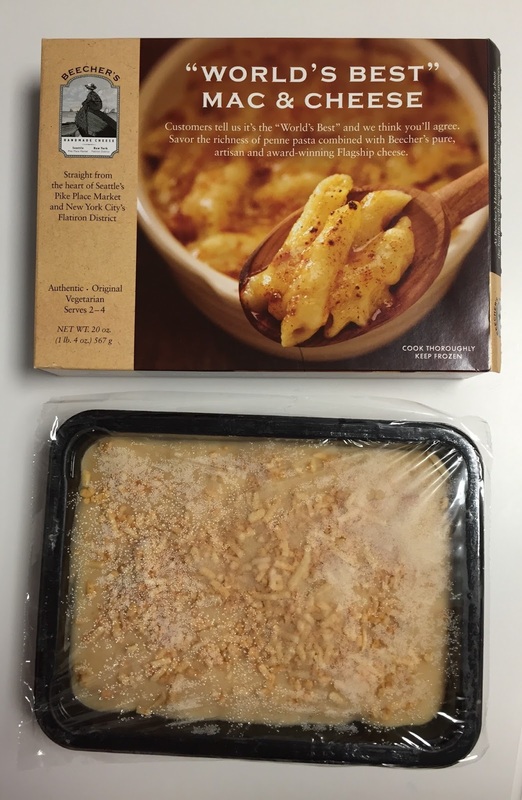 There's still creamy sauce at the bottom when I scooped, and the penne pasta was cooked well and they're rather soft than al dente. The sauce had some sharp and nutty flavors beside a hint of spices they used; onions, garlic and chili powder. As you can see, the oil was separated from the cheese and sauce. 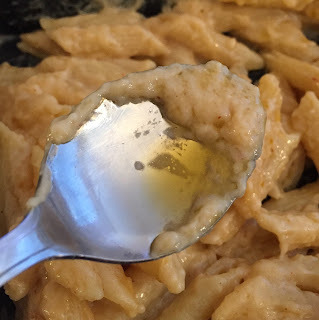 This mac & cheese was so greasy that I felt more than satisfied and even felt a bit sick afterwards. On the box, I saw "award-winning," "passion" and "world's best" multiple times and I was very excited to try this, but it's insanely greasy and I wondered if they really care about health. The spices like onions, garlic and chili powder were aromatic and there's some creaminess, but I didn't think the flavor was worth 15 dollars.